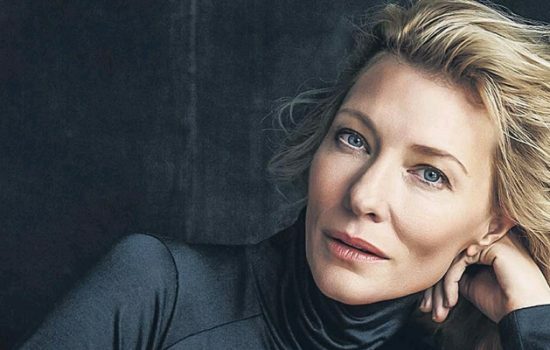 HOLLYWOOD actress Cate Blanchett will star in a new television campaign urging Australians to support a carbon tax. The campaign fronted by Blanchett and fellow Australian actor Michael Caton calls on the public to “Say Yes” to cutting carbon pollution. Nine organisations – including Greenpeace, World Wildlife Fund and the Climate Institute – are behind the ads, which will start screening during shows like MasterChef tonight. “What if we say yes, to making big companies pay, when they pollute our skies? We’d be saying yes to less carbon pollution,” Caton says in the ad. “And finally, doing something about climate change,” Blanchett adds. Climate Institute chief executive John Connor said about $1 million had been invested in the Say Yes campaign so far. “Australia is a high-polluting economy and we want to get the simple fact through that this approach would be one which started to make the big companies pay for their pollution. Mr Connor said the Say Yes campaign would also include a week of action finishing with rallies in capital cities on World Environment Day next Sunday. “We’ve got to take this (message) out to mainstream Australians,” he said. The campaign came as a leading business lobby group’s report on a proposed carbon price was claimed as a victory by both the Gillard government and the opposition, with each saying it’s proof they are on the right policy track. But the Greens say it’s laughable. As the multi-party climate change committee edges closer to deciding on what the nation’s future carbon price will be in talks in Canberra this weekend, the Business Council of Australia has called for a low starting point of $10 a tonne.That price would then increase slowly to minimise the need for household and business compensation. “(It would also recognise) the limited opportunities for domestic emissions reduction in the early years and in the absence of international linkage,” the council said in its submission to the climate change department. It warned that the Australian economy had experienced a significant downturn that was still having an impact on many industries and the introduction of a carbon price would lead to extra costs for businesses and consumers. The council recommended the Productivity Commission carry out regular reviews of the progress of other comparable countries and that all trade-exposed industries be eligible for a 100 per cent allocation of their permits to offset the cost. “The cost impost on trade-exposed industries of any policy to price greenhouse gas emissions should be fully offset to ensure Australia’s policy to price greenhouse gas emissions is trade and investment neutral,” it stated. Greens senator Christine Milne Milne said the council’s proposal was laughable. “The council ought to be embracing a market mechanism … the fact is we have to reduce greenhouse gas emissions and we have to transform the economy,” she said. Opposition climate spokesman Greg Hunt said the council’s submission was a big blow to the government. “The Business Council has put a dagger through the heart of the carbon tax,” Mr Hunt told reporters in Melbourne yesterday. “This is a vote of no confidence in the government. Climate Change Minister Greg Combet said yesterday the talks in Canberra this weekend had been very constructive. Despite the BCA’s submission for a price on carbon well below what the government is aiming for, Mr Combet still viewed it as a positive step. “One of the major, peak business organisations in Australia clearly indicating that a carbon price is appropriate, and that a market mechanism to achieve it is necessary,” Mr Combet said. “They’re supporting a carbon price and they’re supporting it to be set via a market mechanism. “Those are the fundamental frameworks for starting the task of tackling climate change, cutting pollution, driving investment in clean energy. The federal government wants to introduce carbon pricing laws to parliament by September, with the aim of having them passed by year’s end with a fixed price to start from July 1, 2012. The multi-party climate change committee is meeting in Canberra this weekend to continue their deliberations in a more informal fashion. Ms Milne said while the group had begun to bring all its findings together, agreement on a carbon price was unlikely to be finalised in the next 36 hours. “Whilst it is unlikely this weekend we’ll come out with anything definite, what we will be able to do is put together a lot of the puzzle that we’ve been working on in the last several months,” Ms Milne told reporters today. Independent MP Rob Oakeshott agreed the controversial carbon pricing issue probably wouldn’t be put to bed anytime soon. Fellow independent Tony Windsor said it would be impossible to get an agreement on a carbon price by tomorrow night. “That won’t happen, the Productivity Commission haven’t given their report … and there’s other international work that’s got to be delivered to the committee as well,” Mr Windsor said.